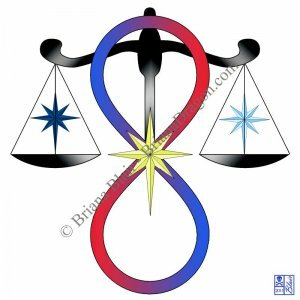 The Way of Universal Balance: What Do You Follow? If one follows the Way of Universal Balance, it makes sense that one would need to know what or who they’re following. Unfortunately, this is not an easy question to answer. Much like other spiritual figures over time, They are shrouded in mystery. I can only do my best to share what I know. Unfortunately, I can’t say with any certainty what those I follow were or are. I have seen visions of them, but there was little clarity. I’m not sure whether they were gods, creatures or a race of people. They seem to have had a human-like form, but I got the impression that they were not tied to a single physical form,or even a corporeal presence. There are some things that I do know about Them: They were very connected to the Universal Energy, possibly even a living aspect of it. They had great power, but wielded it wisely. They had some connection to dragons, and had followers. Among these were some warriors, performers and healers at least. They aimed for balance among living things. This was of great importance to Them. They sought peace, unity and balance in all things and among all people. The image I use in these posts is a design that came to me in a dream. It represents infinity, the universal energy (the center star) and the balance of light and dark. I believe it is the symbol of those I follow. 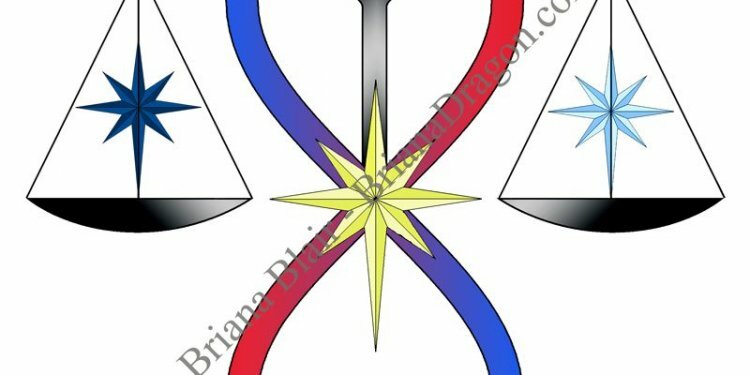 It is a visual example of the path to connection with universal, unending energy and balance in all things. This is the core of the Way of Universal Balance. I know that to follow Them is to seek balance, right, and connection to The Source. They employed many methods to achieve their goals. Unlike many faiths, there is no distinct leaning toward the use of light or dark in the spiritual path or in daily life. Balance and embracing the gray are key. They could be viewed as good, evil or neutral depending on perspective. However, these distinctions are not given much value, but instead living a life of truth to oneself and to others. I also know that They celebrated all aspects of existence, not just life. Death was not a dark time, but a time of joy and remembering those passed. They valued art and expression of all kinds. Bringing one’s gifts to the surface and sharing them with the world was considered a worthy effort. They believed in living one’s life, not simply surviving it. I do apologize if some of this is a bit confusing because I use “They” and “Them” instead of a name. I feel that I should share what I’ve been taught and aid others, but I feel that Their name is not to be revealed to the world as yet. I think it may be so that those with knowledge of the way will be known apart from others, because they too would know Their name. If I share the name here, any Joe could call themselves a follower or start using Their name for silly things like RPGs or book characters. I’m sure there are things that I’ve forgotten, and more that will come to me over time. I’ll either add to this post or make another as details are available to me.